September 5 - December 15: $245/nt. December 16 - January 6: $395/nt. January 7 - April 15: $295/nt. April 16 - May: $245/nt. June - September 4: $295/nt. 1 Sofa Sleeper, 1 Air Mattress; Pac and Play. Quiet grounds, large heated pool with hot tub; This unit is close to the ocean. 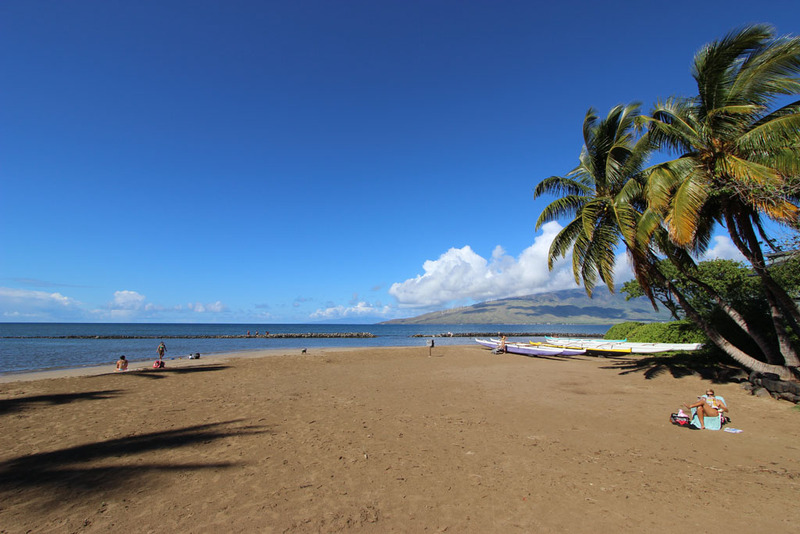 Koa Resort is a collection of townhomes a short walk from the beach on north-central Kihei. Quiet grounds and a large heated pool with hot tub (photo at end of article). This unit is in the part of the complex close to the ocean. There are two beaches across the street that are both off the radar of most tourists. Waipu’ilani Beach is a long sand and coral beach protected by reef. Kalepolepo Beach Park, to the north is uncrowded and is the site for the recently upgraded Hawaiian Islands Humpback Whale National Marine Sanctuary learning center. It is also home to culturally significant and the most accessible ancient Hawaiian fishpond in Maui. Both are great beaches of convenience for when you want to escape touristy crowds, have dinner or drinks while you watch the sunset, or strike up a down-to-earth conversation with a local family.